Deciding what signage to display, as a shop or café owner in the busy centre of Leeds, is as vital to business success today, as it has ever been. So with so many undecided about where to shop and eat, what’s the best way to direct people to your store using signs in Leeds? A great shop window is, of course, a given. Window vinyl can be particularly attractive. But with folk facing forward as they walk down a street, what’s the best signage to catch their eye? Pavement signs are of course great for facing the flow of pedestrians. 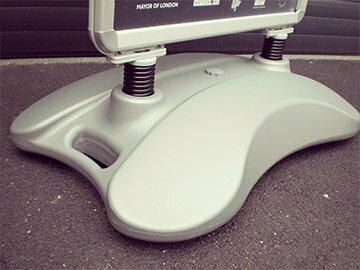 There’s plenty of choice with different varieties of fixed or flexible designs including popular A-boards. Sturdier, weighted forecourt signs are more suitable for busy streets. Leeds City Council, though, has quite a strict policy on displaying pavement signs in the centre of the city for premises that don’t have a forecourt. Pavement signs can be displayed more easily in other parts of Leeds. Hanging signs are positioned perfectly for attracting the gaze of pedestrians as they walk by. They are subject to fewer restrictions than pavement signs in Leeds. Obviously, you need yours to stand out from the rest, though. That’s where we can help. 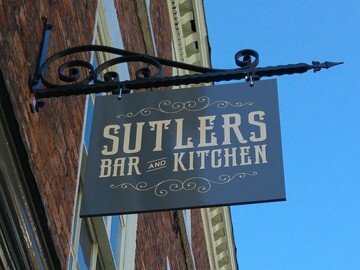 At Dock Street Signs we make projection signs using a variety of materials for a modern or classic look. Our designers work with you to develop beautiful designs for your Projection Signs to entice people to stop and take a look. And then if you have a stunning front window, how could anyone turn away? Let us know if you find this information helpful when choosing your signs. 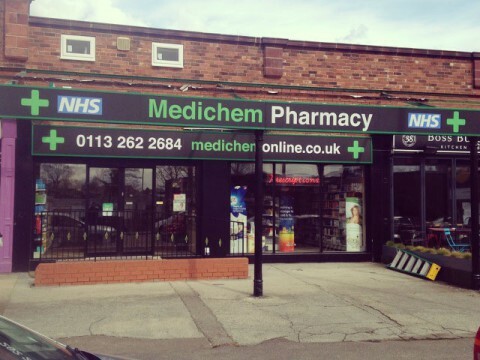 We have one of the widest ranges of shop signage and vinyl in Leeds and much more. Get in touch if you have any questions, for design needs or to get a quote for signs in Leeds.